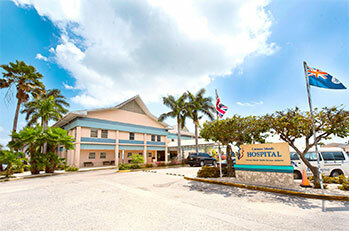 The Cayman Islands Health Services Authority provides care through the 124-bed Cayman Islands Hospital (104 inpatient and 20 observation beds) and the 18-bed Faith Hospital on Cayman Brac. Ancillary services are offered at district health centers, and clinics for dental and eye care. We’ve created this site to provide you with information about our many services. Our goal is to use this medium to offer help, support and service to the public. Much of what is mentioned here will yield to additional information, and our staff is always pleased to answer questions by phone, fax or e-mail. We invite your comments and suggestions. A commitment to the highest degree of patient care, comfort and safety, delivered by a competent, professional team of doctors, nurses and support staff is the hallmark of the Cayman Islands Health Services Authority. "The Mission of the Health Services Authority is to provide the highest quality healthcare and improve the well-being of people in the Cayman Islands through accessible, sustainable patient-focused services by highly-skilled, empowered and caring staff in collaboration with our partners." Manage your health information online – on your time! 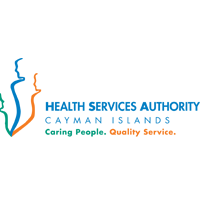 The Cayman Islands Health Services Authority makes it easy for you to manage your health information online with myHSA. This free service provides access to your health information 24-hours a day, 7 days a week. Click here to login or find out how you can sign up. 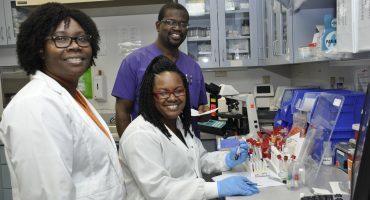 Through five satellite health centres – one for each district in Grand Cayman – the Community Health Services provides primary care across the island. This supports the Cayman Islands Health Service Authority’s firm belief that every member of the community is entitled to the highest possible standard of health care through a community-based health system. Services provided through the district health centres include general practice, immunisations, maternal and child health care, health education and support of disabled patients in their homes. Home visiting services are also provided. • School Health including primary care, health assessments, vision and hearing tests etc. • Special programmes relating to Genetics and Sexual health. The Health Services adheres to the Cayman Islands Public Procurement Committee guidelines developed in compliance of the Procurement Law & Regulations to ensure that procurement is carried out in a fair and transparent manner while securing value for money in the procurement of goods, works or services. For all procurement tender opportunities visit The Cayman Islands Government Public Purchase Portal.